Young Steve Jobs at his Woodside, California, home, 1982. I’ve written about the late Apple founder Steve Jobs opting to listen to vinyl over mp3s and CDs at home, even after inventing devices like the iPhone and iPod, which have revolutionized the way the people now consume their music. I just started reading the new biography on him, Becoming Steve Jobs. While his love for innovation, precision, and great engineering were well-known, I was surprised to find that we shared a few things in common: he had a Porsche 911; was deeply influenced by both Ram Dass’ classic book, Be Here Now and Parmahansa Yogananda’s beautiful Autobiography of a Yogi. 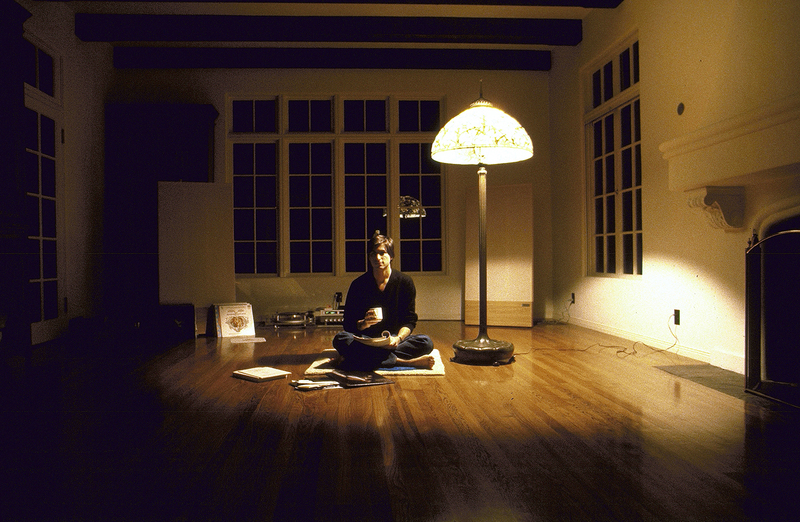 I discovered that Jobs also loved his Linn Sondek turntable, which naturally, got me curious about the rest of his home audio system, which he was said to have enjoyed in his 17,000′ mountain estate in Woodside, California. I decided to do some digging to find out more. 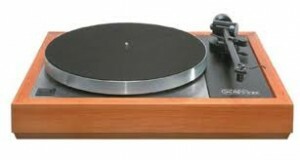 In addition to the Linn Sondek turntable, Jobs owned a 200-watt Spectral Stasis-1 power amplifier, a FET-One preamp, and a Denon Tu-750 tuner. Originally, he’d outfitted himself with large Acoustat Monitor 3 electrostatic speakers, which he later upgraded to Wilson Audio Grand Slamm speakers (the brand Henry Rollins has at home,) though I don’t think Jobs’ were the same top-tier, $200K Alexandria XLF model behemoths that Henry enjoys). And BTW, Henry also detests cd’s. Later, Jobs switched to a MK1 Gyrotec turntable, a costlier upgrade which would have enabled him to better enjoy his precious vinyl. To my surprise, he never owned a tube amp and preamp—both of which allow for a smoother, more organic sound. Still, good solid state amps like he had are known for their iron-fisted control of fussy (think wildly varying impedance curves) and inefficient loudspeakers, specifically with regard to electrostatics. The one component Jobs did not own at home was a CD player because he loved vinyl and, therefore, outfitted himself with analogue components. Among his favorites records to listen to were works from the ECM catalogue, Steely Dan, the Grateful Dead, and Bach. All in all, Jobs’ system was on the modest side of high-end. He could have afforded anything, but some say he was a bit of a tightwad. In the same way that he could have afforded the Mercedes Bismarck S63 AMG, he opted for the smaller Mercedes SL55 AMG instead. Maybe he just didn’t want to be recognized out on the road.